Nokia is going to make a historical journey in mobile world with 41 MP cameras. First time ever any mobile phone brings at higher level picture camera with 41 Mega Pixel. Hat can capture 5MP at the same time so it’s really interesting. First time nokia lumia shocks the mobile world and this is the major impact that any mobile phone providing the high level picture configuration with 41 megapixel camera, yes Nokia Lumia 1020 comes with 41 MP camera with LED flash video recorder and other specific feature that had not introduced till now in any mobile or cell phones. 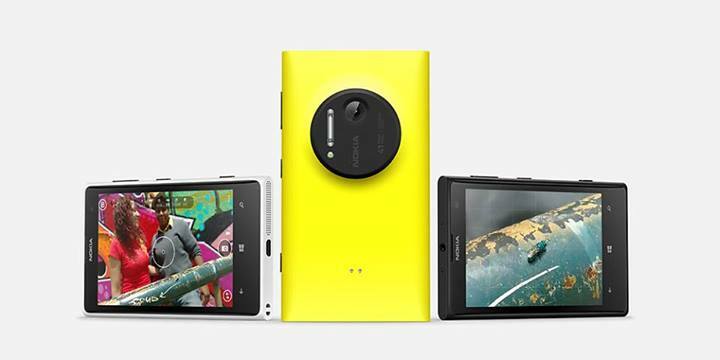 Nokia Lumia 1020 can capture 808 pure views at a time which uniquely defined in any smart phone. Nokia Lumia 1020 are available now in tri colour in the market black, white and yellow which is more attractive for the users. You may share your view about this exclusive stuff through your social plug-ins and frequently ask for your queries.